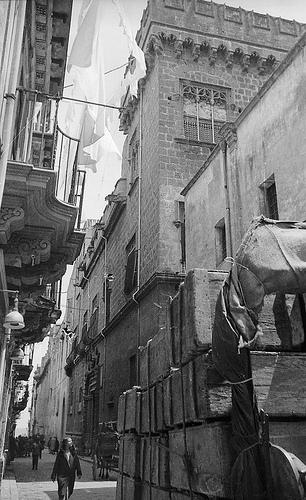 As a monument to former glory and incredibly dirty, Palermo is everything you do not expect. Characterful, ugly and spectacularly genuine, this city makes for the most unlikely love affair. Situated in a sweeping bay, not visible from most parts of town, it is surrounded by mountains which somehow lends itself to providing the sense of being a South American metropolis rather than the capital of a small Mediterranean island. On many of the streets you will find numerous flea markets where hoards of people from all over the world peddle their wares, including the old and new, from the practical to the downright ridiculous, from 70’s telephones to chipped tea mugs emblazoned with the visage of a former pope. Indeed, Palermo seems like a little bit of a misfit itself, perhaps precisely one of the reasons why it invites further exploration. For sure, this is no Paris. This is not a highly sophisticated place of immediately attractive and accessible attractions. There is none of Rome’s easy charm. Yet work to discover the less obvious and you will be rewarded.